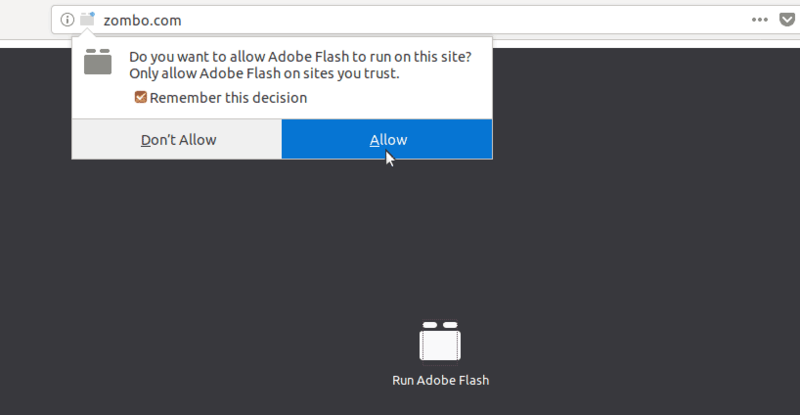 Flash player is dying for sure, Adobe has announced it will stop supporting flash by 2020. But still there are many tube sites that use adobe flash player for video streaming. 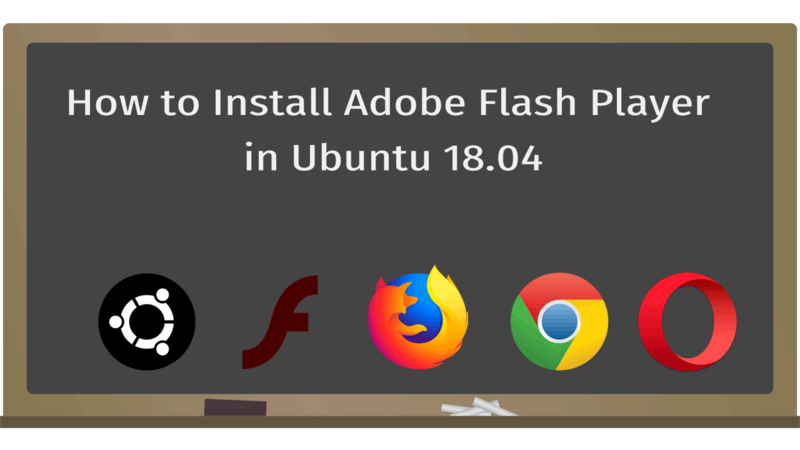 So you still need to have flash player installed on your Ubuntu desktop to play Flash animations and videos. The Google Chrome web browser includes a Flash plugin and you don't need to install separately. But Mozilla Firefox, which is the default web browser on Ubuntu 18.04, does not include flash player by default. There are a couple of flash player plugins available for Ubuntu 18.04, But adobe-flashplugin is one that works for all web browsers including Firefox, chromium, Opera and etc. sudo apt-add-repository "deb http://archive.canonical.com/ubuntu bionic partner"
After the installations complete, you need to restart your web browser before access any Flash-enabled content. The command will update flash player, if new updates are available. Most web browsers block adobe flash by default, you will have to allow flash manually to play flash contents. Note that there is another flash plugin called flashplugin-installer, available from the default Ubuntu software repository. It enables flash supports for Firefox and Opera, but not for the chromium browser.